Its network built out to 2,800 shops nationally, Assured Performance announced last month the launch of “OEM Certification 2.0,” a suite of tools and initiatives intended to attract customers to and encourage repair quality at those shops. The company has since then rolled out a slew of announcements, and more are planned through Assured Performance’s conference Oct. 4-7 in Phoenix. Biggs said that the first step was to build out the network of shops, all of which have various combinations of Ford, Nissan, Hyundai and FCA certifications. Now that this is done, the company can refine the program, he said. On Wednesday, the company announced an agreement with Vehicle Collision Experts, run by VeriFacts co-founder and forensic engineer Mark Olson, to offer optional services like shop inspections. VECO had already done certification work for Assured Performance in certain markets, but Biggs said the new services would be available to shops anywhere VECO was willing to travel. Such VECO audits are optional but not required. Shops who request them will receive preferential pricing and access under VECO’s deal with Assured Performance, according to Biggs. 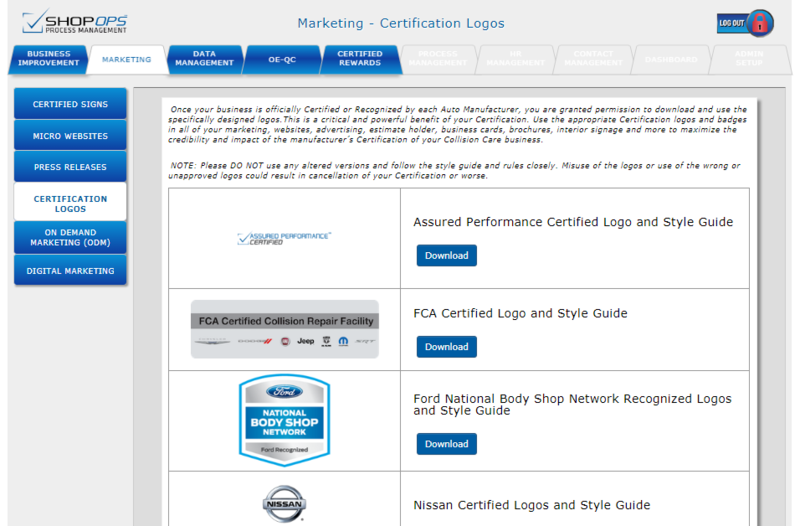 Interested in getting certified and attracting/retaining customers? Learn more during the SEMA Show in Las Vegas from Tim Ronak and Greg Griffith of AkzoNobel with “Which Certifications Are Right For My Business?”; Brandon Thomas of AkzoNobel with “Social Media Mania”; Jim Saeli of Management Success with “Sales Training For Estimators”; and Steve Schoolcraft, Phoenix Solutions Group, and Ryan Taylor, Body Shop Booster, with “The Time Has Arrived For Change: Lead with Service, Stop processing and Start Servicing.” The sessions are part of the Society of Collision Repair Specialists Repairer Driven Education Series Oct. 30-Nov. 3. Register here for individual RDE classes or the series pass package deal, which includes the entire week of classes, all three parts of the OEM Summit and the Nov. 2 Sky Villa afterparty. The absence of actual repair output checks has been a criticism of Assured Performance’s program, though Biggs has argued that building up a network of trained and equipped shops — which weeds out a lot of inadequate performers anyway — had to come first. Asked about the optional audits Wednesday, Biggs argued that the responsibility and liability for quality control should lay with the shops, not the Assured Performance program. “It’s not our place to be overstepping our position,” Biggs said. “It’s enough for us to have gone this far,” he said. An OEM certified shop faced a higher liability for errors in their work, collision repair attorney Erica Eversman suggested Wednesday on “Repair University Live.” An OEM itself might also carry an increased risk for mistakes made by network shops, she said. Assured Performance requires shops to have access to OEM repair procedures and prove compliance. 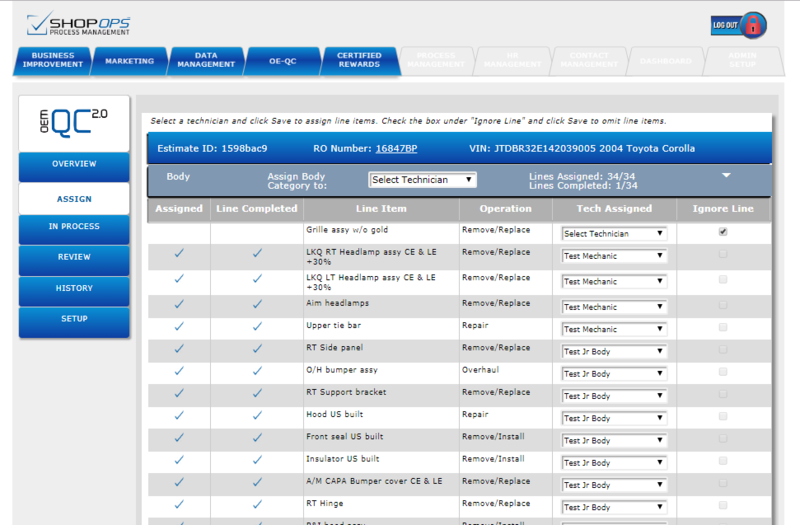 In January 2016, it announced system for technicians to document and photograph each line item of an estimate. In July, the company announced its new “ShopOps” suite included “a Quality Assurance system based upon the estimate repair lines with the ability to document OEM Repair procedure use (OE-QC),” an upgrade to the existing model. “It’s simpler to use, and it has the workplace component,” Biggs said. Technicians using the older system didn’t have the smart app they do now, he said. 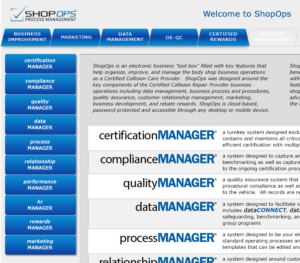 ShopOps’ capabilities go far beyond repair procedure documentation. 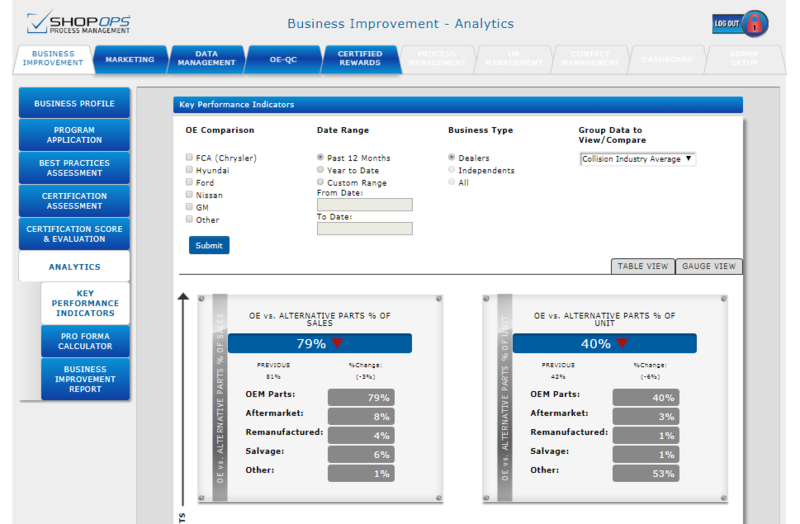 It also features “data self-management and key performance indicator benchmarking tools, an electronic operations manual and process management system with pre-written process, procedures, checklists and forms, as well as a cutting-edge HR Management system, a state-of-the-art customer relationship management system, and a comprehensive business improvement program,” according to Assured Performance. Besides quality control, the other major question about OEM certification programs involves whether customers even know of their existence. Insurers have an edge in recommending direct repair program shops — a customer must contact the insurer to file a claim, creating the opportunity for referrals. It’s less likely a consumer taken the time to research collision repairers, as nobody plans to get into a crash. The best source of referrals will likely be the OEMs themselves — a consumer knows Ford, Hyundai, Nissan and FCA; they don’t know Assured Performance. Intriguingly, Assured Performance’s news release indicates that consumer communications “will eventually include telematics.” This will become a powerful tool for OEMs and certified shops, as it likely refers to the concept of the vehicle detecting the collision and immediately referring customers to the automaker’s certified network. General Motors already has said this feature is available for the Cadillac CT6 and its certified repair network. Developed by Assured Performance and Advantego Technologies, the system runs multimedia on digital picture frames, televisions and counter displays and delivers “shop-specific commercial messaging, official Certification signage, and Automaker-branded consumer education videos directly to consumers,” according to Assured Performance. Multiply the number of customers the average shop sees in a year by Assured Performance’s 2,800 shops, and that’s what Biggs estimated was 10-15 million customer impressions a year about how great certified shops are. On Aug. 3, Assured Performance also announced it and Advantego would through “eLISTINGS” automatically transmit the certified shops’ information “to over 70 different directories and search engines, ensuring consistent information and better search engine rankings.” It wrote that eLOBBY also would clean up erroneous business contact information and monitor current listings for accuracy, show which certifications each shop had and track customer reviews.